With Summer sending us tempting samples of Sunshine, I thought I’d share with you all some Simple Bunting to make for your garden, summerhouse, walls, wherever you fancy really. All you need is some surplus fabrics and some string/cord/ribbon to attach them to. A pair of scissor and sewing machine or needle and thread to hand stitch. 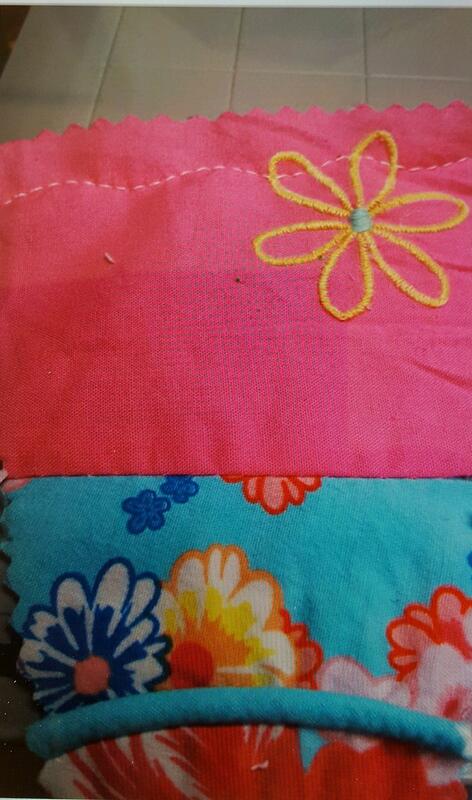 I’ve used some scrap fabrics I was given in this sample. You can use whatever fabrics you have laying around. First I made a paper template using the cover of an old magazine. If you want to know how I made my template it’s at the end or this post. Let’s begin the fun part. 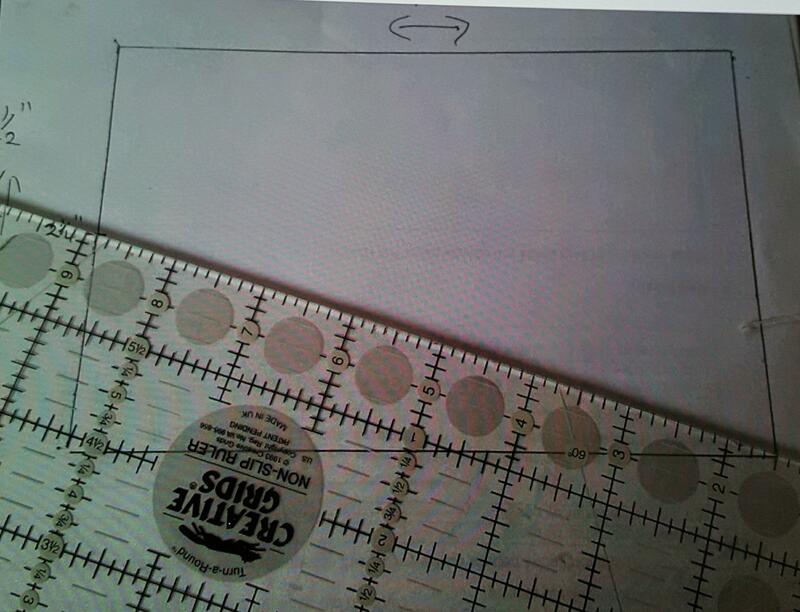 I simply lay my paper template onto my fabric and marked around it with a fabric marker pen. 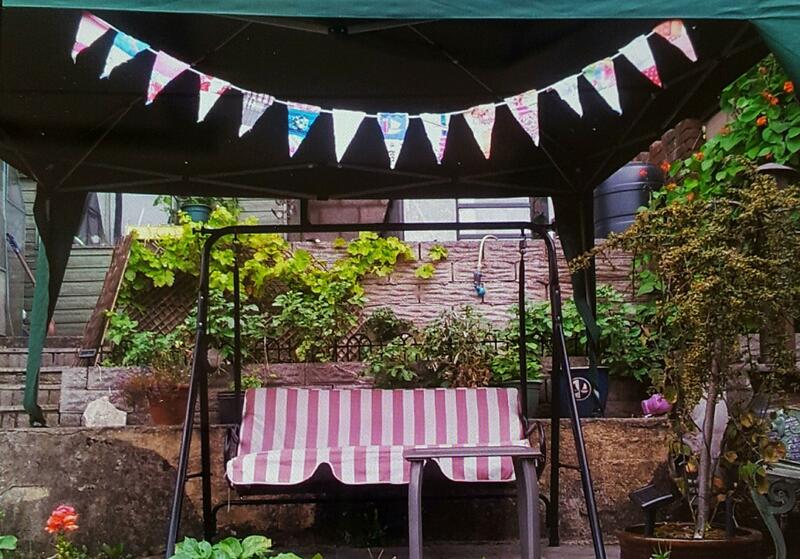 I simply cut out the bunting using my pinking shears. But it’s perfectly ok to use ordinary scissors. Or a rotary cutter if you so wish. 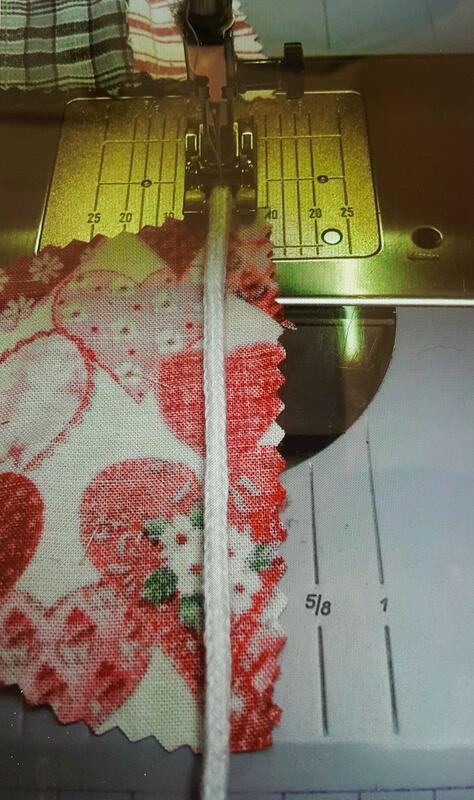 Also feel free to cut multiple layers of fabric for a quicker finish. With the right side of your fabric face down and the cord/ribbon on top. 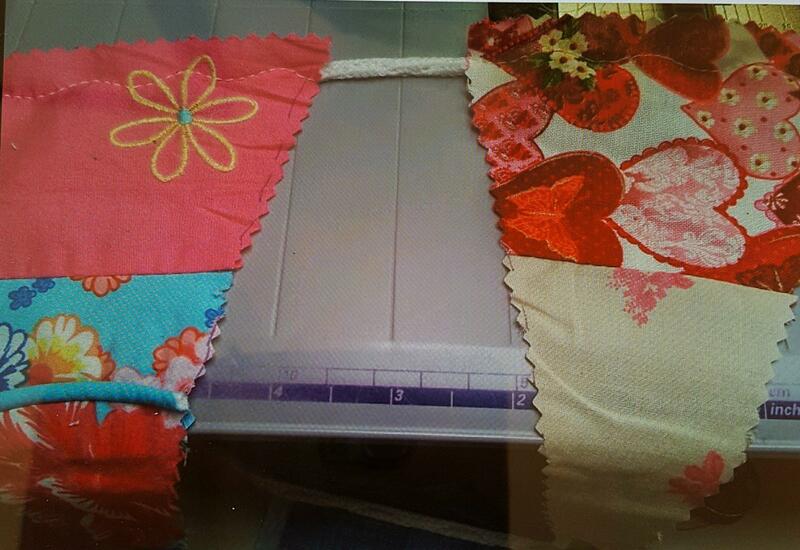 Simply run your bunting through your sewing machine. I used the three step zig zag stitch, but a basic zig zag stitch will do. I used my open toed applique foot to do this. I left aprox. one and a half inches between each piece. I didn’t stop and start again between each flag. 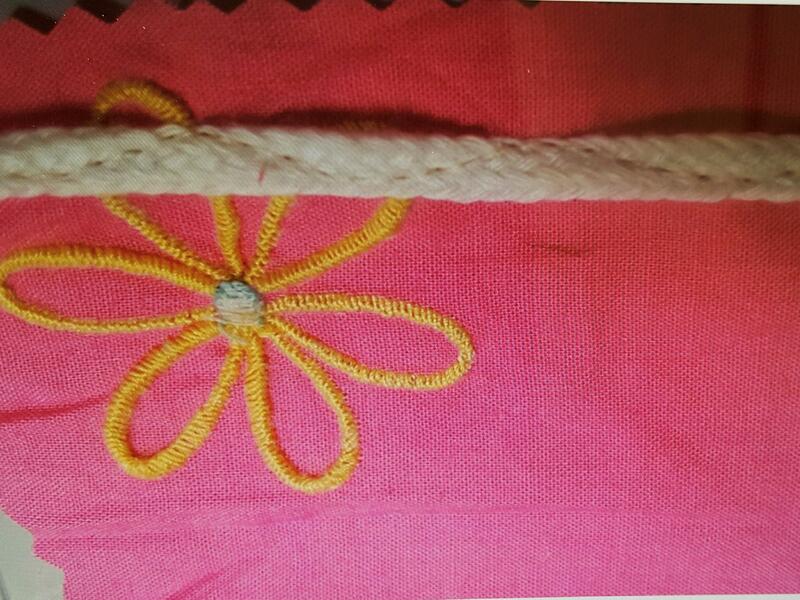 I simply continued sewing my zig-zag stitch onto the cord. And the back view below. And there you have it – Happy Bunting. This is how I made my template. My fabric was aprox. four and a half inches wide. So I took that as my top measurement. 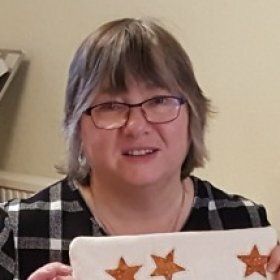 I thought seven inches looked a good length for my bunting. I love working by eye. I made a mark half way along the bottom four and a half inch line. 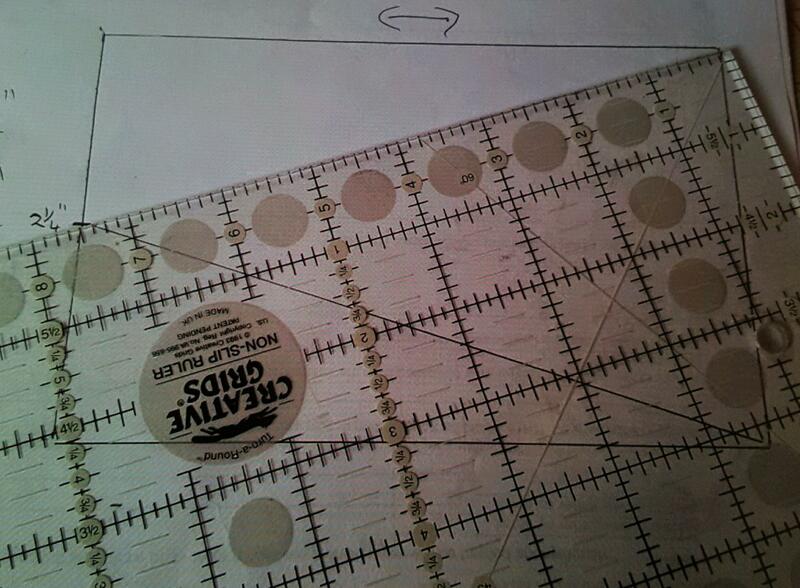 I then cut this shape out onto a magazine cover to make a quick and easy template. 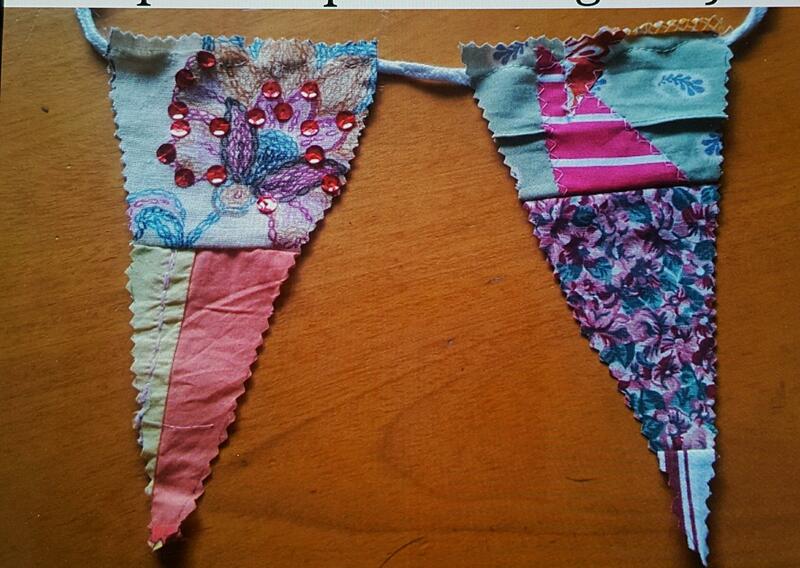 Remember, you can make your bunting any size you like. I’ve enjoyed doing this so much I’m going to make some more up for pressies.